In mortar and pestle bash together lemon grass, ginger and lime leaves. Place in a pot with the stock, bring to the boil and simmer for 10 minutes. Add xylitol and lime juice to taste. Add prawns and cook for 1 minute. 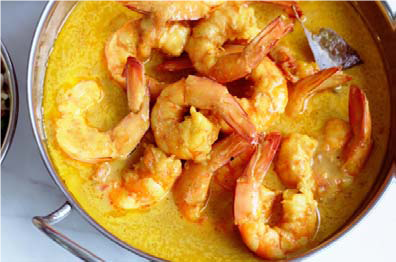 Remove prawns, add to the bowl, pour over broth and garnish.